Hi guys! 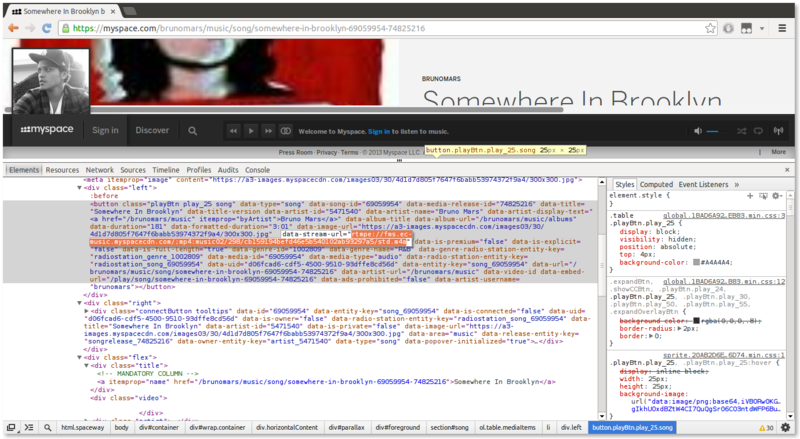 In todays post we will be looking into myspace.com and check whether it is possible to download songs with python or not. If it is possible then we will make a python script which will assist us in downloading the songs. Now comes the main part. It is not convenient to go through all of these steps again and again just to download a single song. Now we need to automate this and for that we will use python. After doing a little bit of tinkering I saw that only the -y and -p parameters are changed for every song. Further down the lane we can see that the -p parameter is just the url of the song page and the -y parameter is taken from the rtmp link which we found on the song page. Thats it! 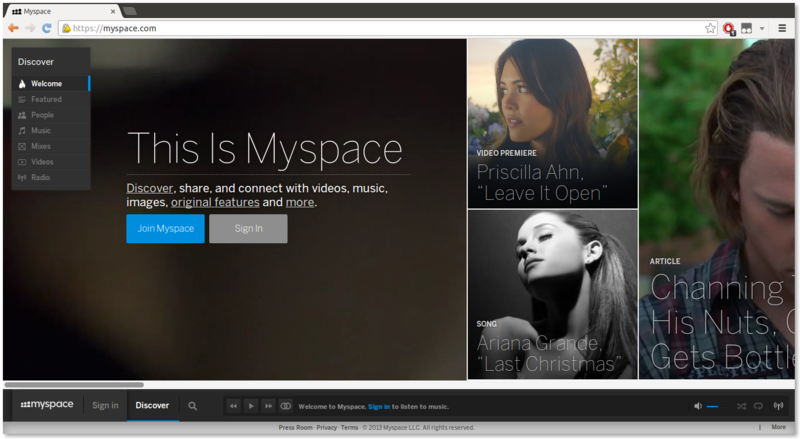 We now have a simple script that will download myspace songs for us. I know you are thinking about more features in this script. Let me give you some ideas. This script downloads just songs and does not have any input validation in place. Maybe you can make a similar script for videos ? When you make something do let me know. That was todays tutorial. I will see you later and don’t forget to follow this blog, like it on facebook, follow me on twitter and reply below 🙂 This is the best way to repay me. Lastly stay tuned for the next post. My knowledge of programming is very limited, but it’s exciting that it actually worked. I’ll try to follow the whole procedure this weekend to find out how it actually works, but very interesting nonetheless, site favorited. I am happy that you liked it. I will investigate why the given piece of code did not work. Just started with python (Beginner), May be I can reach to a level where I can write such smart codes. It is not really that difficult. Just keep on learning and it won’t take you long to reach that level. Very good work man. Thanks to share!! Hello… Where the downloads go?